Looks like someone at Massive Entertainment is a fan of American sitcoms. An easter egg has been found in the Division 2 that references the television show Parks and Recreation. The nod takes the form of a collectable and has a description that gives a nod to the character Ben Wyatt from the show. The description is a reference to Wyatt’s past in Parks and Rec, and is a running gag in the show. In the series, Wyatt explains that he became mayor of Partridge, Minnesota at 18 and bankrupted the town by creating a winter sports complex called Ice Town. 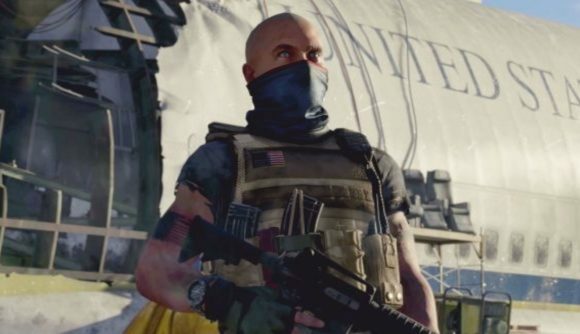 At least now we get to find out what would have happened to him in the alternate reality of The Division 2. I like to imagine that even though he lived through an apocalypse, his love for calzones did not waver. This isn’t the first easter egg to be found in the Division 2, another Reddit user found an adorable Rainbow Six Siege easter egg in the Air and Space museum. But if hunting for easter eggs isn’t your thing, we have plenty of guides to keep you busy, including a Division 2 brand set guide, an exotic weapons guide, and a resource guide on how to farm for the essentials.